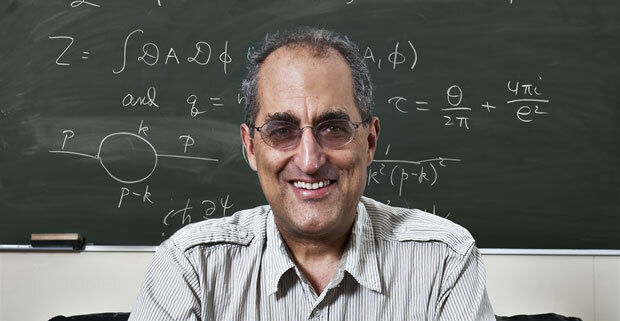 Edward Witten was born on 26th August 1951 and teaches his field of expertise Mathematical Physics as a Professor at the Institute for Advanced Study, to be more precise he is an American theoretical physicist who mainly focuses on his specialization. Witten carries out research in theory of quantum gravity, super symmetric quantum field theories, superstring theory and other areas in affiliation with mathematical physics. The mathematician was born to a Jewish family in Baltimore, Maryland (United States of America) to the couple Lorraine W. Witten and Louis Witten. The latter was a theoretical physicist who was focused on specializing in gravitation and general relativity. He was initially educated at the Park School of Baltimore and was part of the class of 1968. Later on he received his Bachelor of Arts where he had a major in History and minor in Linguistics from Brandeis University. He also attended the University of Wisconsin-Madison as an economics graduate student for a single semester and then left. He then got enrolled at Princeton University for ‘Applied Mathematics’, and after shifting departments he gained his PhD in Physics (1976) with the supervision of David Gross (Nobel Laureate in Physics 2004). Witten also held a fellowship at Harvard University during 1976-7 and a MacArthur foundation fellowship in 1982, moreover he was part of the Harvard Society of fellows (1977-80). It is also commendable that in 1990 he was the first physicist to be presented a Fields Medal by the International Union of Mathematics. Time Magazine in 2004 proclaimed that Witten was thought to be the world’s greatest theoretical physicist. In 1986 he published an article in the Nation where he made it a point that the Left had no strategy, this suggests he was politically motivated. He also worked for a while with the Democratic Presidential Nominee, George McGovern. He has more than 340 publications which mainly focus upon quantum field theory, string theory and areas relative to topology and geometry. The man is also known for coming up with a natural solution to the hierarchy problem in physics. Mathematicians around the world are aware that Witten helped open up the string theory where at a conference at the University of California (in the mid 90’s), he was able to solve a problem related to the string theory and he presented the idea of dualities and versions of the problem which eventually led to the same theory. Witten has left his academic imprint in numerous ways due to his dedicated research and brilliant mind which was capable of opening gateways to new forms of thinking and solving issues as challenging as ‘gauge gravity duality’. Apart from previous academic achievements already mentioned, he also received the Nemmers Prize in Mathematics (2000) and the National Medal of Science (2002). He was also the recipient of the Pythagoras Award (2005), Henri Poincare Prize (2006), the Crafoord Prize (2008), Lorentz Medal (2010) and the Isaac Newton Medal (2010). He was also chosen as a member of the Pontifical Academy of Sciences (2006) by Pope Benedict XVI. He is married to a physics professor who teaches at Princeton University, Chiara Nappi; they have two daughters Ilana and Daniela and one son called Rafael. Their family also extends to a granddaughter named Nava. Witten is also part of the ‘Americans for Peace Now’ board.